As we get closer to the 2019 ABPA Annual convention in Fort Lauderdale, the excitement continues to build! For 2019, we have added more fun to the schedule with the addition of the Marina and Mansions Boat Tour which will be held on Wednesday, 5/1 at 3PM as an optional event for ABPA attendees. 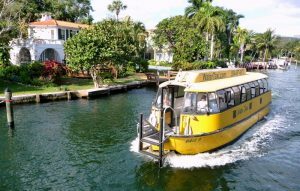 This two hour cruise will include a tour of the Intercoastal Waterways including Port Everglades and the New River in downtown Fort Lauderdale. While on the cruise, enjoy complimentary drinks including beer, wine, soda and water! Pickup is at the the Seville Street dock, which is a short 10 minute walk from the ABPA Hotel, the Westin Fort Lauderdale Beach Resort. To join us, select the Boat Tour during the checkout process when you register online for the convention. See you all in Fort Lauderdale! ← ABPA Fort Lauderdale Convention Speaker – Peter Quinter, GrayRobinson, P.A.